August 15th, 2013 | Wheaton World Wide Moving. 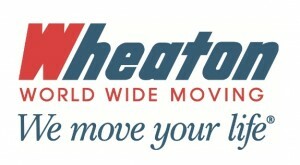 In an effort to streamline our blog and make it more user-friendly, some important and helpful changes have been made to Wheaton’s We Move Your Life Official blog. Because these changes are not necessarily apparent at first glance, it’s worthwhile to explain where these changes are. These tabs are meant to better organize the content and information that is published on the blog. On the home page, you will find the same information that you’re used to seeing: helpful moving tips, information about services that Wheaton provides, and any newsworthy tidbits about the moving industry. The Inside Wheaton tab is the newest addition to the blog, and what Wheaton is most excited to unveil. Under this new tab, you can enjoy stories, editorials, guest blogs and more. This will have more of a personal feel and might include topics outside of the realm of moving. We know that moving from place to place is a small part of your life – what about the other parts? Wheaton wants to be there to help out with other parts of your life, too. Look out for topics like home decorating, traveling, and parenting information… just to name a few. The topics are literally endless. Be sure to visit often as the information will constantly be updated. Finally, the last change on the blog is the addition of the Ballpark Estimate tool. This tool gives you the ability to get a rough cost estimate of how much your interstate move could cost and help connect you with a Wheaton representative who can answer any and all of your moving-related questions. Keep checking back to the blog often. The content is changed several times a week. If you want to know when the blog is updated, make sure to “Like” us on Facebook and follow us on Twitter. Both of those channels are updated as soon as a new blog is posted.